Harrison Spinks, one of Great Britain’s most established and innovative bed makers, is investing £9m as part of its five-year strategy to grow the business and develop the next generation of beds. The new strategy, which aims to position Harrison Spinks as world leaders in sustainable mattress and comfort innovation, follows a significant 40% growth over the last two years. 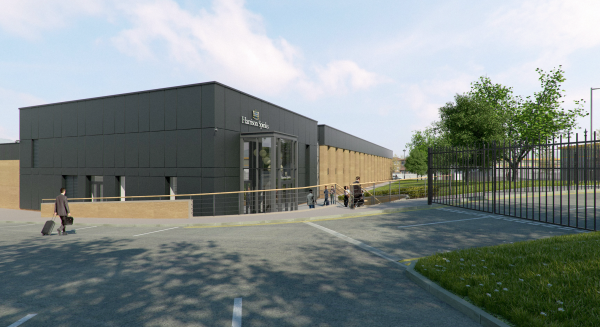 The investment includes a new site at the manufacturer’s Leeds-based factory to house a larger innovation and technology centre, and additional offices for the expanding team. This facility will also have a dedicated Somnus showroom. As well as quadrupling capacity at its natural fillings plant, the bed maker is also investing in its machinery, wire drawing and spring technology. As part of this investment, Harrison Spinks has refocused its business strategy to concentrate primarily on beds and components, and will no longer manufacture Spink & Edgar Upholstery at its Leeds factory. The company is looking for a quality upholstery manufacturer to make and supply the range using its innovative springs and farm fillings. The new direction will enable the bed maker to give exceptional service to the increasing business from retailers, whilst focusing on bed and spring innovation. Harrison Spinks already makes foam-free mattresses and is well on the way to developing a glue-free, chemical-free bed that will not only be more sustainable than all beds available today, but will be even more comfortable too. Simon Spinks, managing director of Harrison Spinks, said: “We have been working for some time on new technologies to develop the ultimate natural bed. We want to not only use natural, locally sourced materials, but also remove chemicals and glue from our products. A mattress that is foam-free, glue-free and chemical treatment free is just around the corner and will revolutionise the bed industry as we know it today. As part of the new investment, Harrison Spinks is also extending its laboratory to become UCAS accredited with new fire testing facilities to ensure consistent quality of each and every product. Harrison Spinks is one of Great Britain’s most established and innovative bed makers. Established in 1840, it manufactures luxury mattresses under the Harrison, Somnus and Spink & Edgar brands. Harrison Spinks is one of the most vertically integrated bed manufacturers in the world from drawing its own wire for its unique spring technology to growing natural fillings on its own farm in Yorkshire. Both the unique spring technology and growing natural fillings have been recognised with two Queen’s awards for Enterprise in Innovation and Sustainable Development.